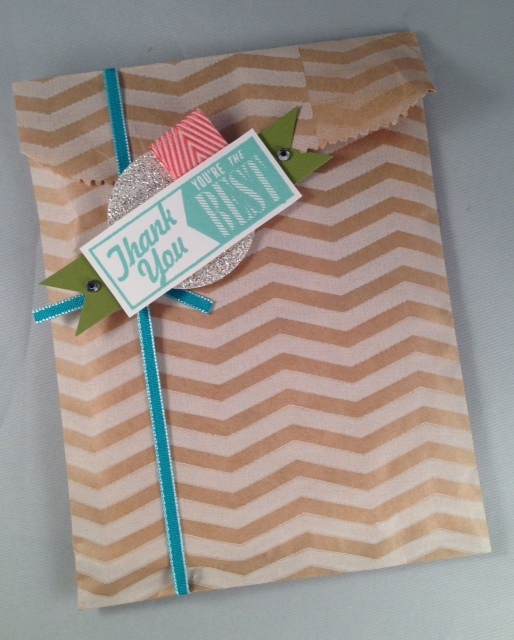 December’s paper pumpkin kit, All Shook Up, was lots of fun because they were shaker cards! I love the confetti that is inside the photo frame shaker. The kit came with 9 cards to make; 3 hello, 3 thank you and 3 happy birthday. The Happy Birthday ones are probably my favorite because the letters are in Strawberry Slush and I love all shades of pink! Here’s my third make and take from Convention! This one is probably my favorite. Here’s why… The bag is beautiful but what is inside is even nicer! 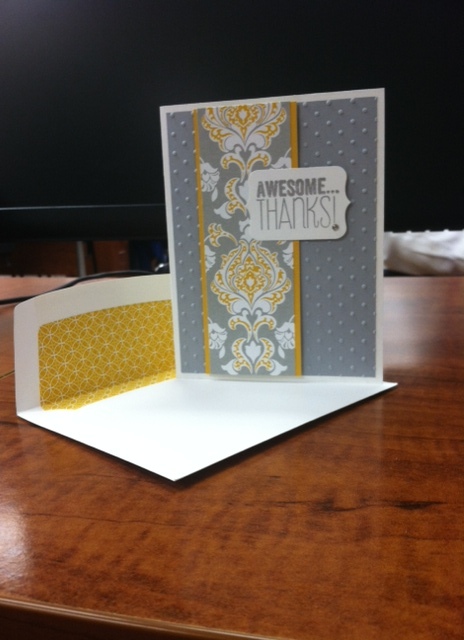 Inside there are 5 different kinds of cards AND matching envelopes! 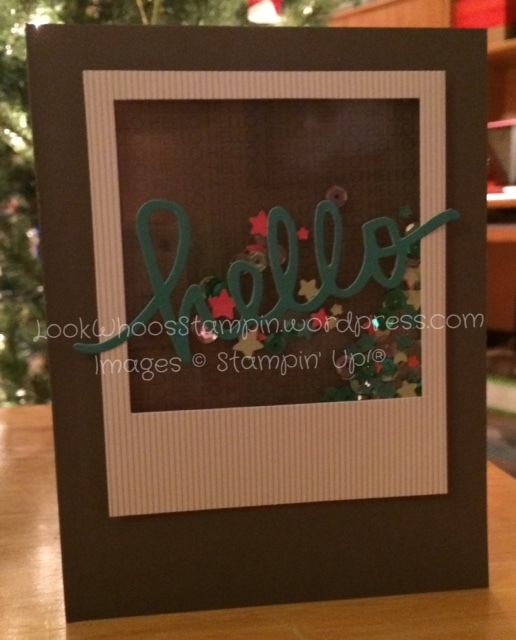 I love the Hello, Lovely Stamp Set because it is so gorgeous. 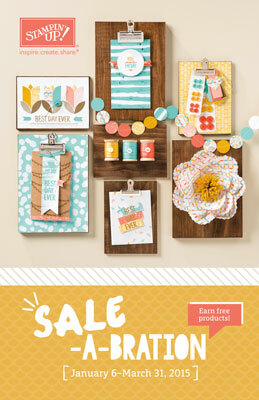 It makes this bag and card set so nice and a gift that anyone would love. To make the bag and the cards I used Hello, Lovely Stamp Set; Old Olive Cardstock; Whisper White Cardstock; Silver Glimmer Paper; Tag a Bag Gift Bag; Note Cards & Envelopes; Bermuda Bay Ink Pad; Coastal Cabana Ink Pad; Crisp Cantaloupe Ink Pad; Old Olive Ink Pad; Coastal Cabana Stampin’ Write Marker; Crisp Cantaloupe Stampin’ Write Marker; Bermuda Bay 1/8″ Taffeta Ribbon; Calypso Coral 3/4″ Chevron Ribbon, Stamp-a-ma-jig, and 1-3/4″ Circle Punch. 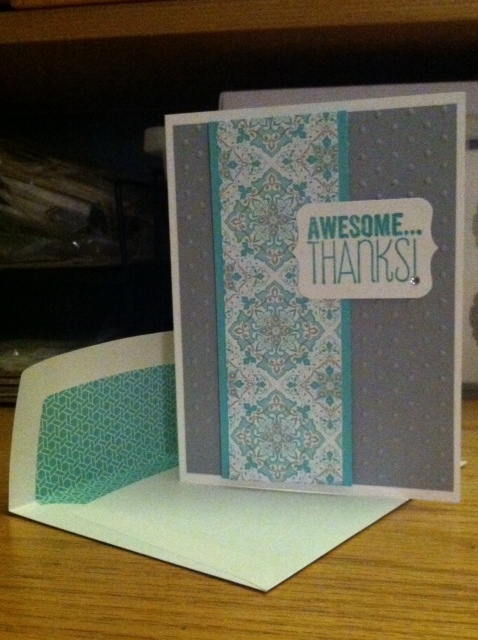 This is the card that I made from the August Paper Pumpkin kit. I really love the bicycle, I think it is so adorable! 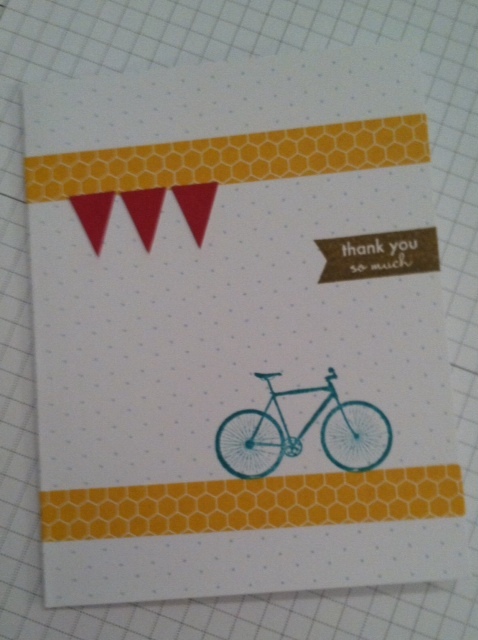 It is a simple yet very nice thank you card that I think anyone would appreciate! 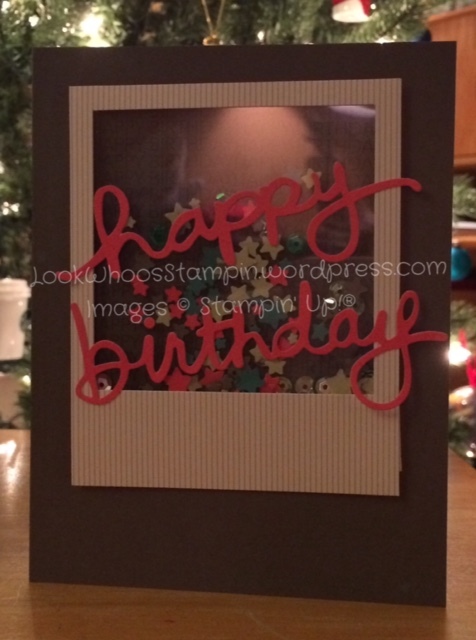 The colors used in this card are Baked Brown Sugar, Bermuda Bay, Crushed Curry and Raspberry Ripple. I made this fun gift box at Convention. It was my second make and take that I made there. I really love the feathers which are made out of paper! I used the 2-1/2″ circle punch to punch one circle each from the Calypso Coral Cardstock and the Crisp Cantaloupe Designer Series Paper. 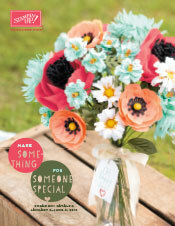 I also punch one circle from the Coastal Cabana Cardstock using the 1-3/4″ Circle Punch. 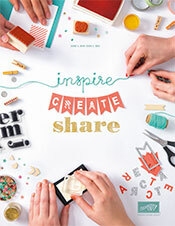 To create the feather shapes, insert cardstock circles back into the punch about halfway and punch again. Then fold in half and snip through both layers and rough the edges to add dimension. 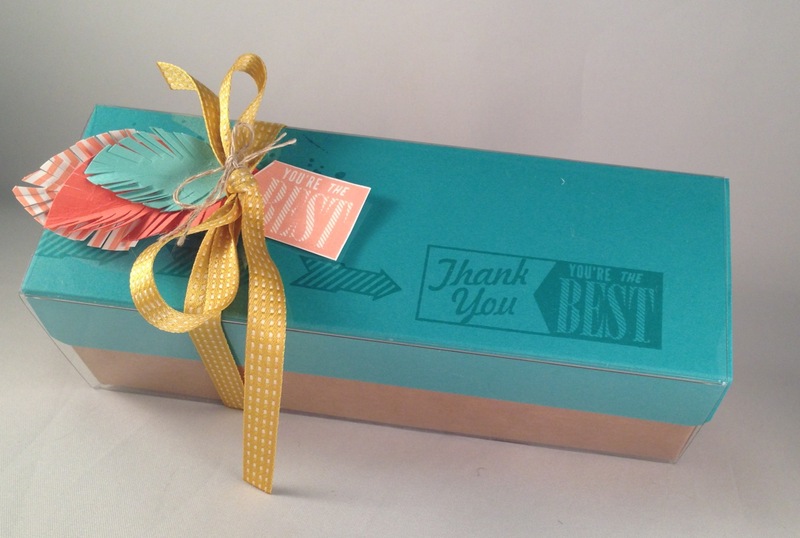 To make this box I used Gorgeous Grunge Stamp Set; Hello, Lovely Stamp Set; 2-1/2″ Circle Punch; 1-3/4″ Circle Punch; Bermuda Bay Cardstock; Calypso Coral Cardstock; Whisper White Cardstock; Crisp Cantaloupe Designer Series Paper Stack; Tag a Bag Gift Box; Bermuda Bay Classic Stampin’ Pad; Crisp Cantaloupe Classic Stampin’ Pad; Summer Starfruit 3/8″ Stitched Satin Ribbon, and Linen Thread.